At Format Conversion we can convert your IGES files to DWG format and vice-versa. We create IGES files, with which a CAD user can exchange product data models in the form of circuit diagrams, wireframes, freeform surfaces and solid modeling representations. Applications supported by IGES include traditional engineering drawings, models for analysis, and other manufacturing functions. We create files with are 100% error-free and can be modified according to your specifications. 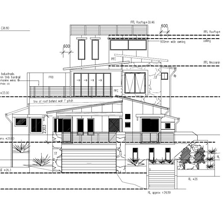 Our DWG conversions are fully editable, multi-layer and are 100% dimensionally accurate. We can accommodate your layering standards or work as per your specifications. The final output is editable and will be in DWG format because we create the drawing as a new file. We can convert your IGES files to any version of DWG (AutoCAD 2007, AutoCAD 2006, AutoCAD 2005, AutoCAD 2004, AutoCAD 2002, AutoCAD 2000i, AutoCAD 2000 and older versions). The Initial Graphics Exchange Specification (IGES) defines a neutral data format that allows the digital exchange of information among Computer-aided design systems. Converting a DWG drawing to IGES format makes the file size smaller hence making data transfers faster and convenient. Format Conversion will give you the best IGES to DWG conversion and CAD format conversions at very competitive prices. You can send us your IGES files via FTP, fax, e-mail or through CD’s; we will process them and have the converted files sent back to you overnight without any rush charges.